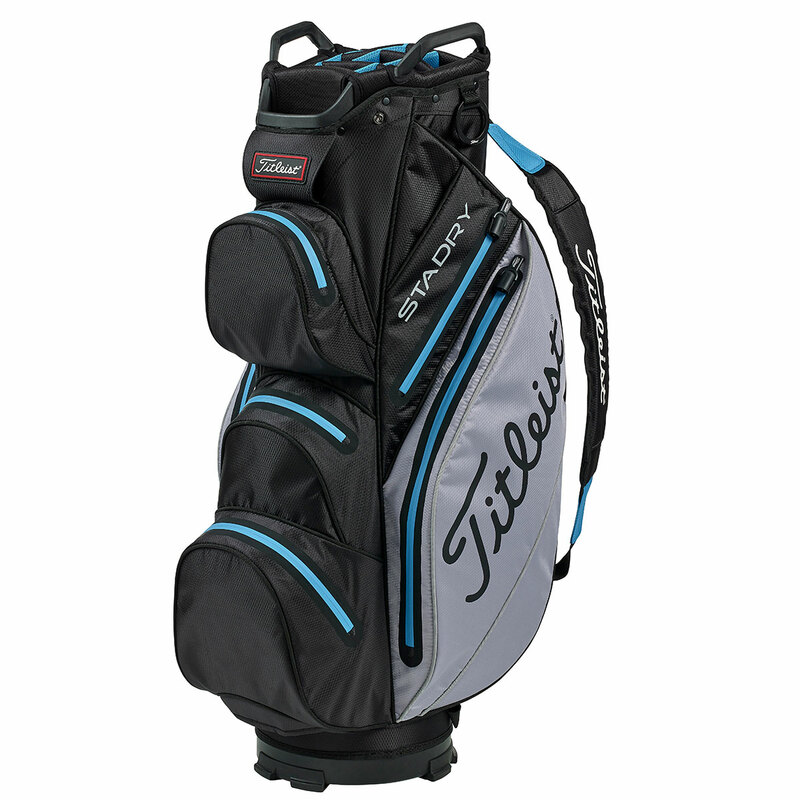 Waterproof, Functional and Stylish, this premium golf cart bag has all the golfer requirements to keep you playing all season long. 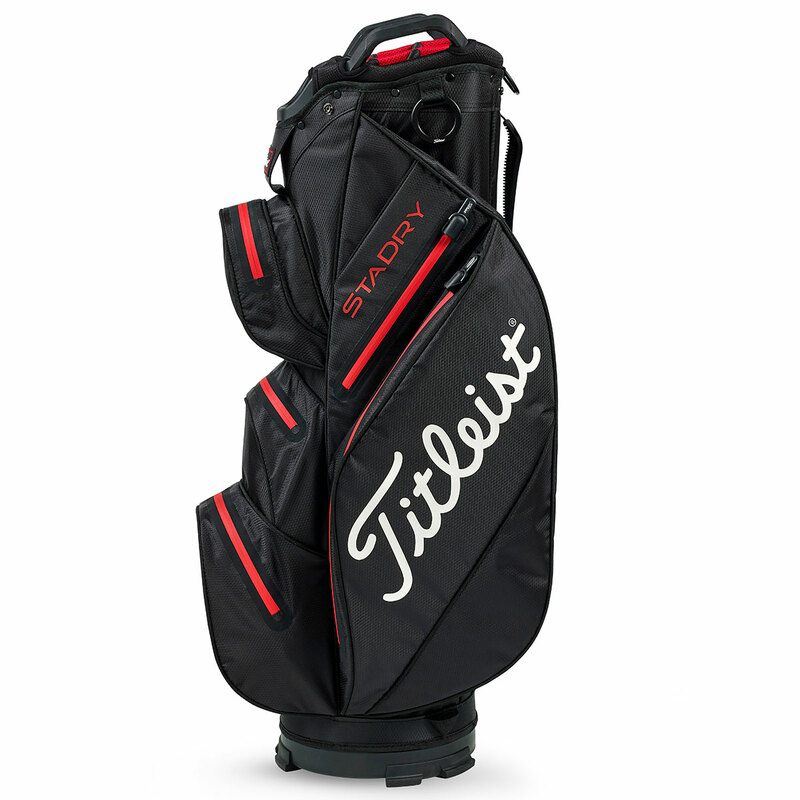 The bag has been designed with highly abrasion resistant materials with StaDry waterproof technology and bonded seams to keep your equipment dry and protected whatever the weather. 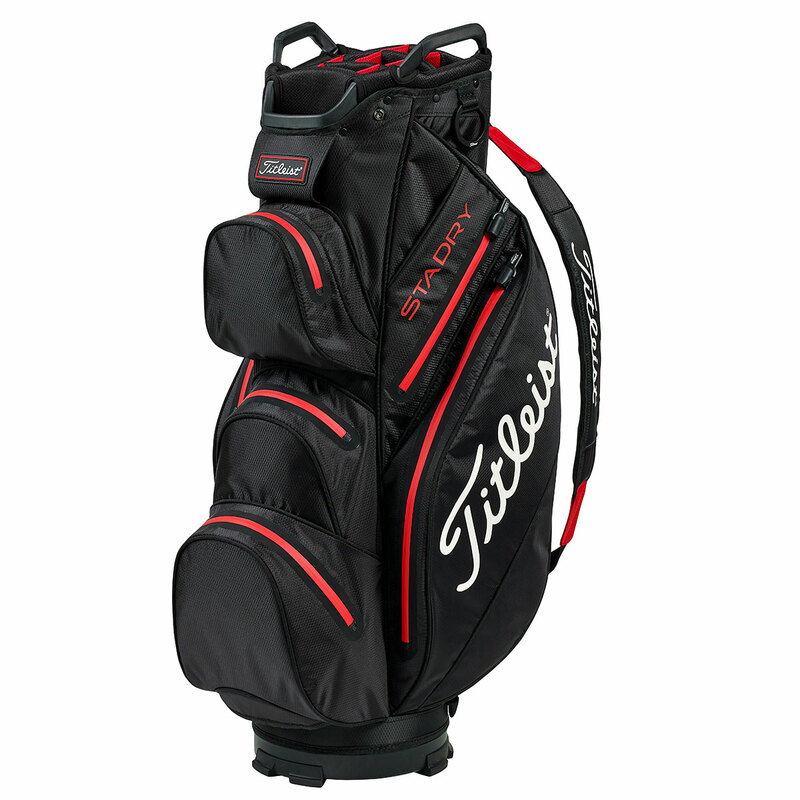 7 forward facing trolley-accessible zip pockets help to store all of your gear away securely, with strap channel to ensure you can secure your load conveniently to your mode of transportation. 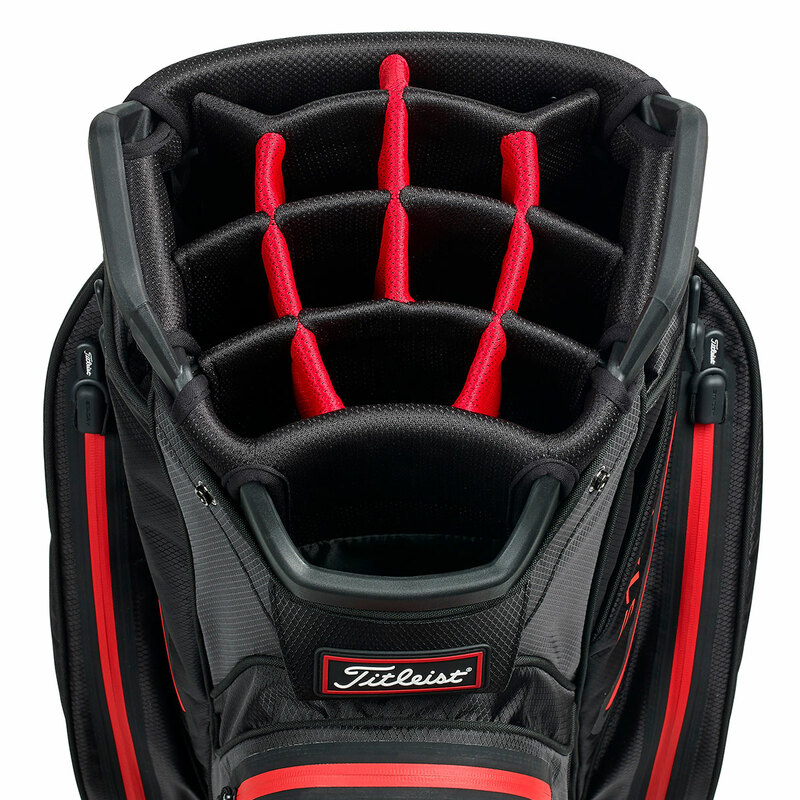 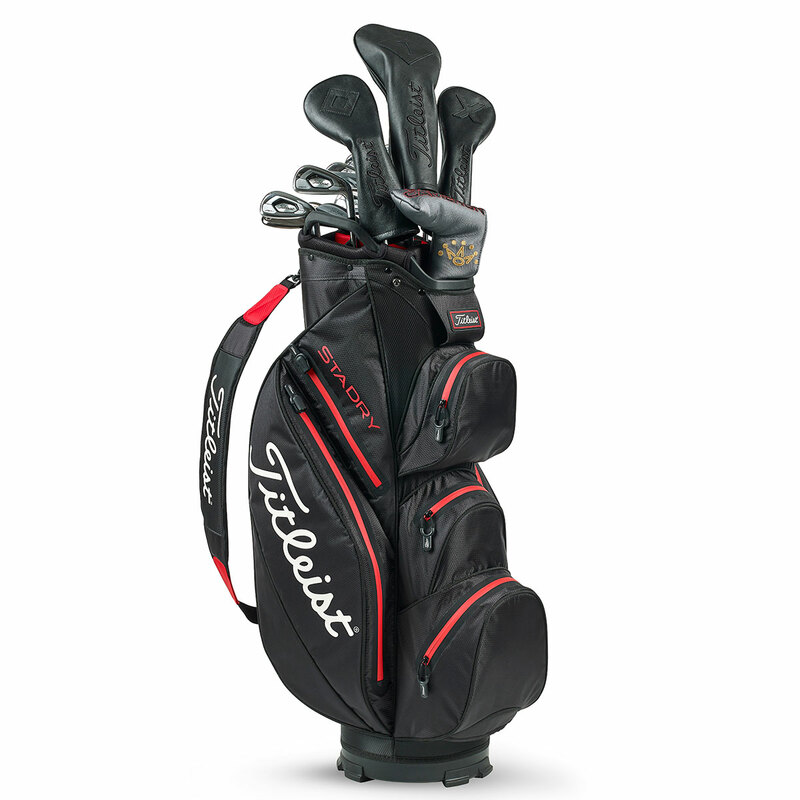 The bag also includes a tour inspired top cuff, with 14 full-length dividers and a dedicated putter well to accommodate modern oversize putter grips.